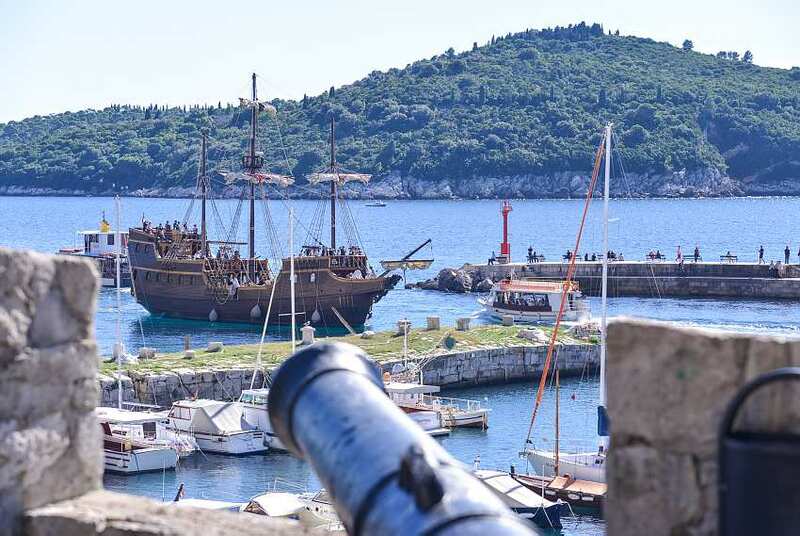 A ship disembarking its crew on Dubrovnik’s docks, in spite of a cannon pointing at her hull? A few centuries ago, this sight would make every resident of the renowned city nervous. But today, it is much appreciated. The wooden ship is full of tourists, and the cannon is here only to tell the tale of times now long gone. In other words, everyone is happy.